According to a new report released by environmental group Center for Climate and Energy Solutions, renewable energy won’t be able to make up for the loss of carbon-free electricity resulting from a wave of nuclear-power plant closures in the coming decades. This group’s report, which also includes policy proposals, represents a growing urgency among some environmentalists that carbon-free nuclear power should be part of the equation addressing climate change despite other big concerns, such as upfront costs and what to do with radioactive waste. Note: Nuclear power provides 20% of America’s electricity, though more than 50% of its carbon-free power. 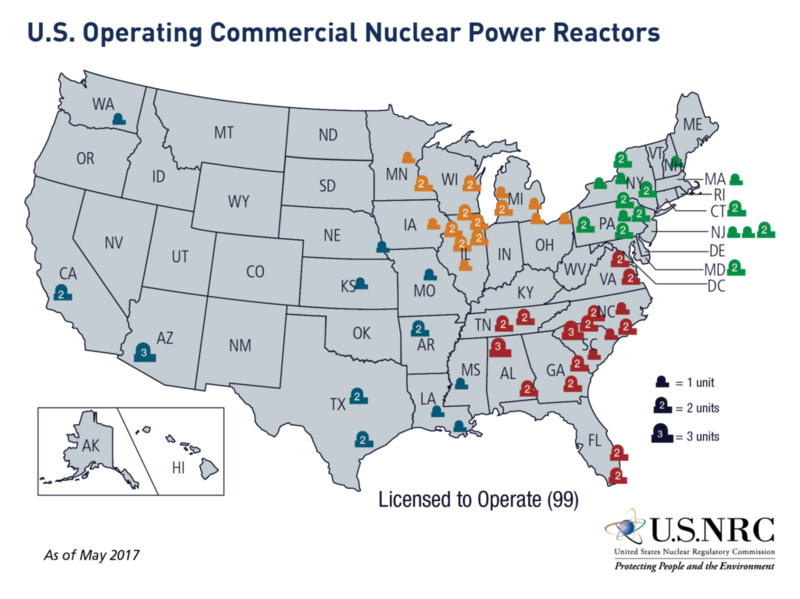 Noting that any federal policy driving nuclear power is unlikely in the near term, the report says action by states and corporations will be key. Some states are already taking action, and New York’s electric-grid operator floated a proposal last week about how it could put a price on carbon emissions within its system, which would help nuclear plants. Nuclear energy’s carbon-free attribute may not be attractive enough for cities and companies without coming up with a federal answer to store spent fuel: “solving the long-term waste challenge will likely be important to win support for nuclear power from cities and businesses,” the report states. The U.S. Nuclear Regulatory Agency is gearing up to review requests from companies to run some nuclear reactors for an unprecedented 80 years, 20 years longer than current operating licenses. Assumptions about future emissions levels also assume the agency approves these requests, in a process that could take a couple of years.